Home Tags Posts tagged with "jean claude juncker"
Hungary’s PM Viktor Orban has been welcomed as “the dictator” by European Commission President Jean-Claude Juncker at the Eastern Partnership summit in Riga, Latvia. 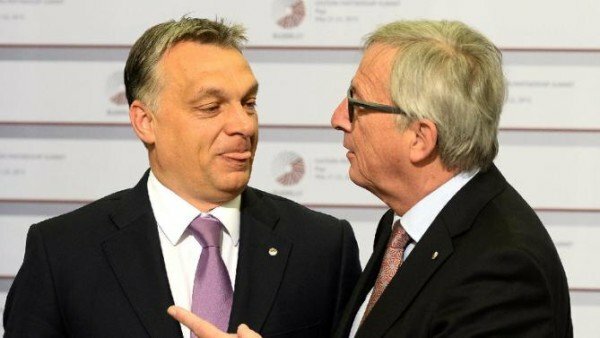 “The dictator is coming!” Jean-Claude Juncker was overheard saying as Viktor Orban approached him. He then repeated the word to Viktor Orban’s face, following it with a warm handshake and a slap on the cheek. Viktor Orban’s reaction was a smile and a bit of friendly shoving. PM Viktor Orban is no stranger to controversy. From his less than subtle views on subjects ranging from immigration to the homeless, he has been on the receiving end of a fair share of finger pointing. Last month, Jean-Claude Juncker vowed to “battle” Viktor Orban’s possible intent to restore the death penalty, saying it goes against EU rules. Jean-Claude Juncker, the newly appointed European Commission president, has revealed details of a €315 billion ($393 billion) investment plan to kick-start Europe’s economy. At the heart of Jean-Claude Juncker’s 5-year agenda is a new €21 billion fund, which would be used as “seed money”, to entice private backers to “pitch in” most of the rest. Only €8 billion of the original money would come from the EU budget itself. The project would take the burden off national governments, already facing big debts after the financial crisis. Critics have already suggested that the scheme is too small, and needs far more hard cash if it is to make a major difference. However, Jean-Claude Juncker said Europe had to face “the challenge of a generation” head-on, without a money-printing machine, describing his plan as the greatest effort in recent EU history to trigger additional investment without changing the rules. The Commission and the European Investment Bank (EIB) would create the fund’s €21 billion reserve, according to Jean-Claude Juncker, which would then enable the EIB to fund loans worth €63 billion. Private investors would be expected to put forward the lion’s share of the money, some €252 billion. Jean-Claude Juncker’s speech came a day after Pope Francis addressed the same parliament, criticizing an “elderly and haggard” Europe that had become less and less protagonist. Initial reaction to Jean-Claude Juncker’s plan came from Chancellor Angela Merkel, who told the German parliament that her government supported the package in principle, but it had to be clear to everyone where the projects were in the future. The Commission president, who came to office at the start of November, said he could not promise how much investment would go to each country, but he argued that investment in one country could only be good for growth in another. Structural reforms were necessary to modernize Europe’s economy and fiscal responsibility was needed to restore confidence in public finance, but now investment had to be boosted as well, he said. The start of the former Luxembourg prime minister’s term as president has been overshadowed by his country’s role in a tax break row. 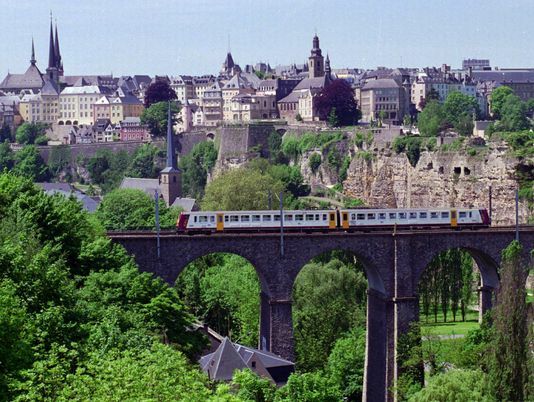 Hundreds of multi-national firms were reportedly attracted to Luxembourg in legal tax avoidance schemes. Jean-Claude Juncker was prime minister at the time but denies wrongdoing. Although a vote against Jean-Claude Juncker is due to take place at the European Parliament on November 27, it is unlikely to attract widespread support. The newly elected president of the European Commission, Jean-Claude Juncker, has denied allegations he encouraged tax avoidance when he was Luxembourg’s prime minister. 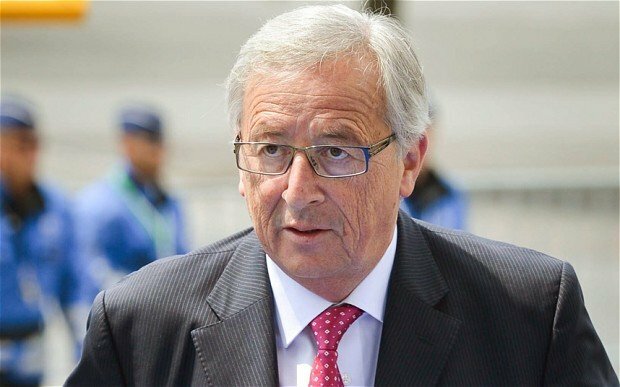 Jean-Claude Juncker, 59, said there was “nothing in my past to indicate that I wanted to encourage tax evasion”. He has come under pressure over claims that some 340 global companies were granted deals to help them avoid tax during his 18 years in office. The Commission has begun an investigation. Jean-Claude Juncker, 59, took over as president of the Commission at the start of November and was confronted within days with a report by investigative journalists that alleged that companies such as Pepsi and Ikea had made deals with his country’s government to save billions in tax in other countries. 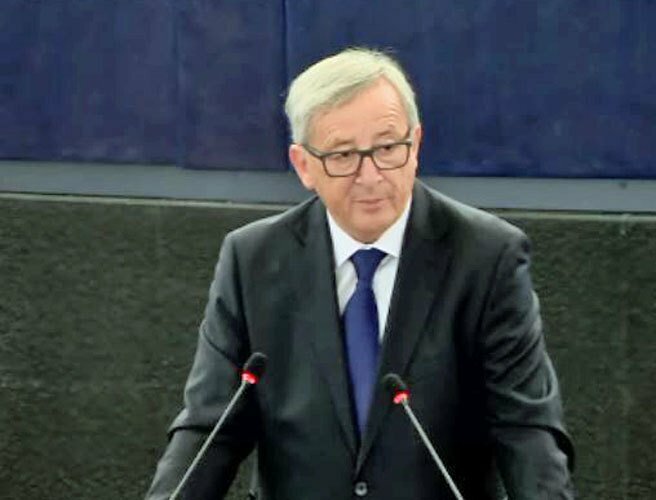 Incumbent PM Xavier Bettel was quoted as saying all deals abided by international tax rules, although Jean-Claude Juncker made no comment at the time. In an unexpected appearance before journalists on November 12, the Commission President repeated the message. “Everything that has been done has been in compliance with national legislation and international rules that apply in this matter,” he said. Luxembourg has announced it would ease the secrecy surrounding its banks by implementing rules on the automatic exchange of bank account information with its European Union partners from 2015. PM Jean-Claude Juncker said Luxembourg would introduce the reforms in two years, in line with the EU Savings Directive. The rules of the Directive are aimed at creating greater transparency and minimizing tax evasion. Calls for a crackdown on bank secrecy have been increasing, as governments seek to raise more taxes to support their finances. 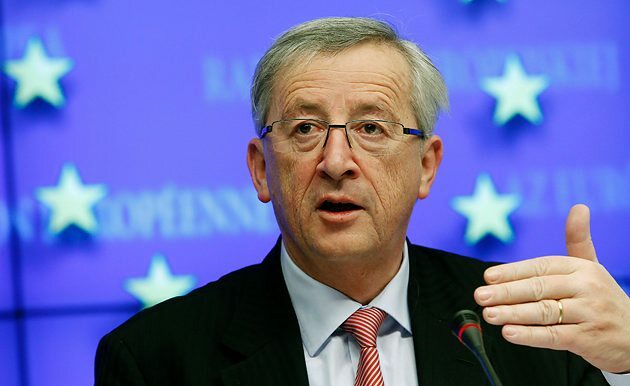 “We can introduce [the rules] without any danger from January 2015,” Jean-Claude Juncker said. Luxembourg’s foreign minister, Luc Frieden, said at the weekend that he wanted to “strengthen co-operation with foreign tax authorities”. Last week, Germany signed a tax evasion treaty with Switzerland – another European banking centre known for its secrecy. The treaty is designed to give the German tax authorities the ability to claw back taxes from their citizens who may be hiding money in Swiss banks. Luxembourg’s announcement leaves Austria as the only European Union country not signed up to the EU Savings Directive. Austria’s finance minister, Maria Fekter, said recently that she would “fight like a lion” to defend the country’s banking secrecy regime. However, Austrian Chancellor Werner Faymann indicated on Tuesday that change may have to come. Eurozone finance ministers and the IMF have agreed on a deal on emergency bailout for debt-laden Greece. 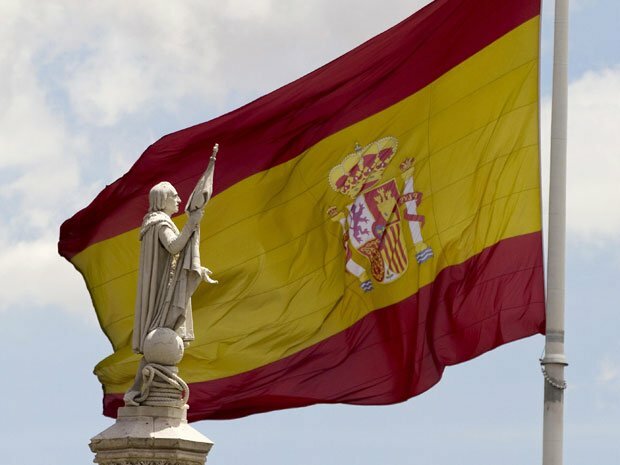 They have agreed to cut debts by 40 billion euros ($51 billion) and have paved the way for releasing the next tranche of bailout loans – some 44 billion euros. Greek Prime Minister Antonis Samaras welcomed the deal, saying “a new day begins for all Greeks”, but it was condemned by the main opposition party. In Asia, the MSCI’s broadest index of Asia Pacific shares outside Japan gained 0.3% to its highest level in more than two weeks. Australian shares rose 0.7%, while South Korea’s benchmark Kospi index was up nearly 0.9%. The breakthrough came after more than 10 hours of talks in Brussels. It was the eurozone’s third meeting in two weeks on Greece. The deal opens the way for support for Greece’s teetering banks and will allow the government to pay wages and pensions in December. The leader of the eurozone finance ministers’ group, Jean-Claude Juncker, said Greece would get the next installment of cash on 13 December. European Central Bank (ECB) president Mario Draghi said the bailout would “strengthen confidence in Europe and in Greece”. For his part, Jean-Claude Juncker said the deal did not just have financial implications. Greece’s international lenders have agreed to take steps to reduce the country’s debts, from an estimated 144%, to 124% of its gross domestic product by 2020. These include cutting the interest rate on loans to Greece, and returning 11 billion euros to Athens in profits from ECB purchases of Greek government bonds. So far the ECB, IMF and the European Commission have pledged a total of 240 billion euros in rescue loans, of which Greece has received around 150 billion euros. The European Union’s commissioner for economic and monetary affairs, Olli Rehn, said it was crucial that a deal had finally been reached. “For the eurozone this was a real test of our credibility, of our ability to take decisions on the most challenging of issues. However, the Greek radical left opposition party Syriza – who came close to winning elections earlier this year – rejected the deal. “It’s a half-baked compromise, a band-aid on the gaping wound of Greece’s debt,” said Syriza deputy Dimitris Papadimoulis, who claimed that the German Chancellor Angela Merkel had blocked attempts to cut Greece’s debt in half. “This is a good deal, but I think a good deal was long overdue for Greece,” said Gerard Lyons, chief economist of Standard Chartered Bank. However, Gerard Lyons cautioned that while the deal mitigated the risk of Greece leaving the euro, it did little to help the Greek economy recover. “What Greece really needs is to reverse [its] austerity measures,” he added. Spending cuts by Athens – a pre-condition for its bailout – have been blamed for significantly worsening a multi-year contraction of the Greek economy. “[The deal] has to be seen as a major vote of confidence to the country,” said Konstantinos Michalos while affirming that “it’s simply extending the lifeline”. Both agreed that Germany’s coming parliamentary elections played a role in making the deal possible. “Six months ago the feeling in Europe generally was that they could sacrifice Greece,” said Gerard Lyons. But while that has increased Germany’s willingness to head off the broader eurozone crisis that might be sparked by a Greek exit from the single currency, according to Konstantinos Michalos it has also made the German government less willing to grant Greece the greater leniency needed to ensure a stronger economic recovery. Konstantinos Michalos said the onus was now on his own government to push through structural reforms – such as reducing protections for existing workers – in order to boost competitiveness and confidence in the economy, and achieve positive growth. “We need to progress with these structural reforms immediately,” he said. German Chancellor Angela Merkel and French President Francois Hollande are set to hold talks in Berlin on whether to give Greece more time to make the cuts required by its debt bailout. 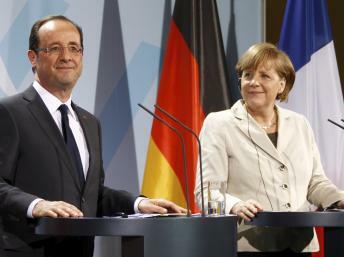 Angela Merkel and Francois Hollande will also meet Greek Prime Minister Antonis Samaras later this week. Meeting Antonis Samaras yesterday, eurozone chief Jean-Claude Juncker kept the door open for a change to the bailout terms. Heavily-indebted Greece is in its fifth year of recession and austerity. Greece is currently trying to finalize a package of 11.5 billion euros ($14.4 billion) of spending cuts over the next two years. It is also being asked to put in place economic and structural reforms, including changes to the labor market and a renewed privatization drive. The measures are needed to qualify for the next 33.5 billion-euro installment of its second 130bn-euro bailout. The “troika” of donor bodies monitoring the bailout – the International Monetary Fund (IMF), the European Central Bank (ECB) and the European Commission – are due in Athens next month to report on whether Greece has made enough progress. Greece needs the funds to make repayments on its debt burden. A default could result in the country leaving the euro. Antonis Samaras is seeking an extension of up to two years for the painful steps, in order to provide Greece with the growth needed to improve its public finances. In an interview published on Wednesday, he told Germany’s biggest daily, Bild, that his country needed “a little breathing space” in order to kick-start growth and reduce its deficit. After meeting Antonis Samaras on Wednesday, Eurogroup head Jean-Claude Juncker said a decision on an extension would depend on the troika’s report. “We have to discuss the length of the period and other dimensions,” Jean-Claude Juncker told a news conference, while sitting alongside Antonis Samaras. He said Greece was facing its “last chance” to make the necessary changes, but praised the “tremendous efforts” it has made so far to cut its deficit. He also stressed he was “totally opposed” to Greece leaving the euro. Antonis Samaras called the discussions “fruitful”. At least publicly, many EU leaders remain resolutely opposed to any moves to change the terms of Greece’s bailout. But Jean-Claude Juncker’s remarks suggest there is room for manoeuvre and that an extension has not been ruled out. Angel Merkel has said that she and Antonis Samaras will not make any decisions on the issue in their talks on Friday. Antonis Samaras goes on to meet Francois Hollande on Saturday. On Wednesday, Francois Hollande also discussed Greece with British Prime Minister David Cameron in a telephone call. 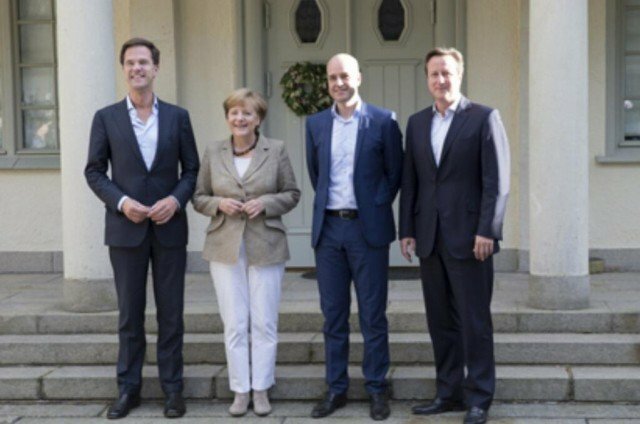 “Both welcomed the recent actions of the ECB and agreed that this did not negate the need for Greece to stabilize their own economy and prevent any further detrimental effects to the wider eurozone,” David Cameron’s office said in a statement, without specifying which ECB actions they were referring to. The talks come amid reports that due to the worsening state of the economy, which affects tax receipts and welfare spending levels, Greece may now need to find savings of up to 13.5 billion euros – 2 billion more than thought.